Spotted! 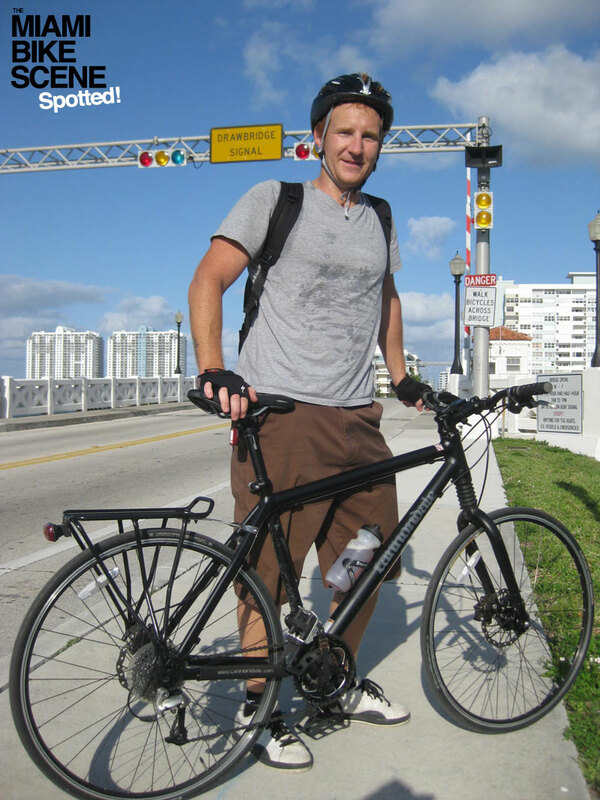 is a new segment I had been meaning to add here for quite some time now, it's a brief Q&A's which profiles cyclists spotted on the streets of S. Florida. This afternoon I finally got the nerve to start stopping random cyclists on the road and ask them a few cycling questions. The first cyclist I approached was easygoing and not creeped out by my requests, we were both waiting for the drawbridge on the Venetian and I found it was the perfect opportunity. I asked him if he was willing to answer a few quick questions and have his photo taken with his bike and he agreed. I gave him a The Miami Bike Scene sticker and told him to check out the site. Floh, a recent transplant to Miami was not familiar with the blog, he was surprised and excited when I told him Miami had a Critical Mass. Spotted! will be an ongoing segment so you can expect more profiles soon. Also, the blog can now be found at themiamibikescene.com. Spread the word. Do you ride to commute or for recreation? Since I was 3-yrs old. I just moved here from Brooklyn and I'm originally from Germany. I don't have a favorite shop yet. Favorite place to ride in S. Florida. cool man. keep it up!!! Crazy I missed you!? I was on the venetian a few times this Sunday. This is cool :) ...and I didn't know MBS had stickers. I want one!